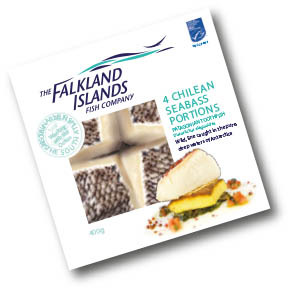 We are the first Falklands seafood brand. Our connections with the Islands largest quota and vessel owning company FORTUNA ensure security of supply to some of the most sought after species including Chilean Seabass. 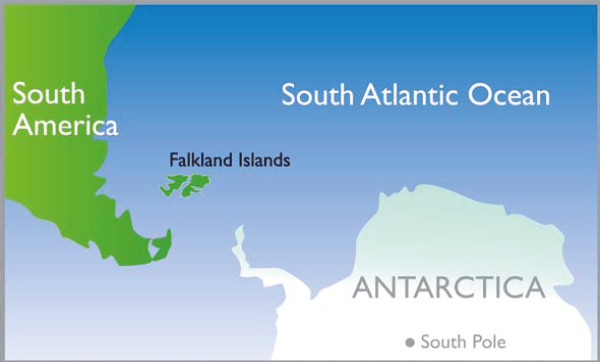 Falklands fish has long been highly regarded in the international seafood world. Stocks in the Islands and further southeast in the sub Antarctic islands of South Georgia are internationally recognized as amongst the best managed in the world. Quotas are strictly controlled. We are one of very few companies with access to this amazing resource. Up until now the primary processed nature of the fish produced by the fishing boats has meant access to raw material markets only. We’re changing that. The smorgasbord of fish from what is probably most southerly processing plant in the world, includes Patagonian Toothfish (AKA Chilean Seabass), Silvery Falklands Seatrout, Kingclip and Patagonian Squid. In addition to the provenance, there is much to say about the habitat. The location of the Islands, just above Antarctica, means we enjoy pristine, unpolluted waters. Strong off-shore winds also ensure that these fresh currents veer straight into the Islands’ finger-thin peninsulas of long bays and sounds. In these purest of waters swim beautiful nutritious fish. It’s a cold but temperate climate with only moderate changes between summer and winter. Fish grow slowly and evenly. This gives the flesh a dense texture. And rich flavour. Fast, intensive fish breeding, by contrast, produces weak, flaky flesh. Fish in our waters also benefit from an abundance of Kelp. The scourge of seamen and anyone else who has ever attempted an amphibious landing on Falklands beaches, the large photosynthetic mass of these highly productive plants ensures a constant supply of nutrients. Biologically, the brown alga is golden. Once caught, quality and food safety depends on certain procedures along the value chain, from the moment the fish is landed until the moment it is consumed. Significant factors impact on every stage, from hand filleting, which minimizes bruising, to using state-of-the-art freezing equipment. It’s a secure cold chain. We have been fishing in a sustainable way for over thirty years. The Islands economy depends on it. MSC certification is a bonus. Fisheries management in the Islands is strictly science-based. The advanced understanding of the interaction between the critical factors that affect sustainability; fish biology and ecology, environmental variances as well as fishing, is the result of a sophisticated and integrated fisheries research, management and monitoring system which has been refined over many years. A significant proportion of revenues originating from the industry are invested in ensuring the highest quality of science supports the development of the fishery. As a result experts rate the standard of knowledge of local species of fish and squid as amongst the very best available in modern ocean science. In addition, we are fully aware that we operate in environmentally sensitive areas. The Islands has one of the world’s largest populations of black browed Albatross along with many other treasured species of birdlife. There are strict controls in place to minimize accidental bird mortality. Birds are most active in the summer months, foraging for food. For this reason the fishing season is restricted to the winter months. In South Georgia it is a license condition that each ship offloads for catch verification before it is allowed to sell the fish. It’s the only comprehensive way to ensure that quota allowances are not exceeded. And believe us, this control is rigorously enforced! These are all the ingredients for unparalleled quality.